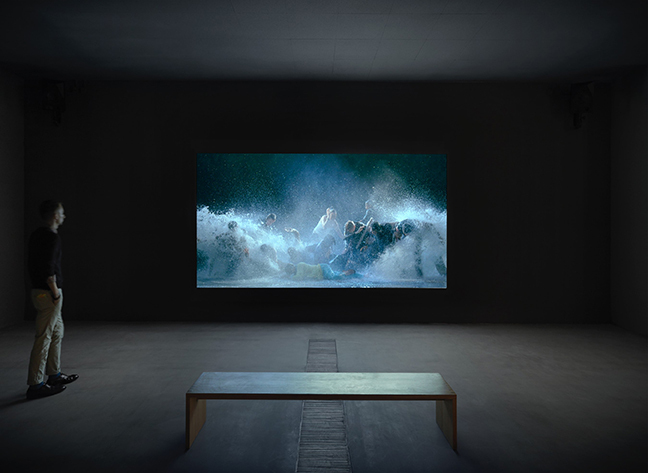 Faurschou Foundation is pleased to present the first solo show in Beijing by the American master of video art Bill Viola. 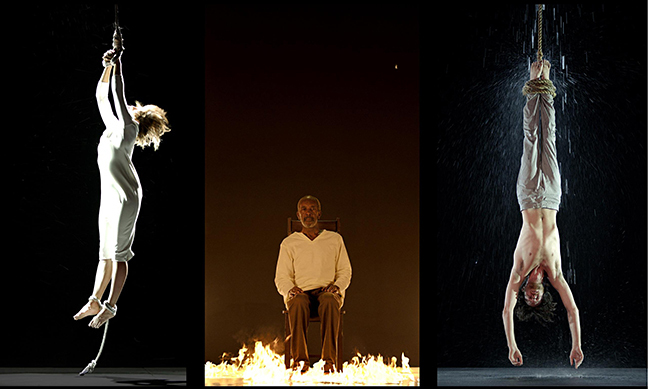 In a 40-year career, Bill Viola has been a leading, artistically outstanding figure in this art form. His iconic, large-scale, ultra-slow-motion cinematic videos have been technically innovative and have tran­scended the genre. In his works Viola explores the power and complexity of human emotions. His installations are about life, death, birth and rebirth, presenting bodies under extreme pressure, ascending and descending, in motion and at rest. Visually his images are strikingly beautiful, composed by the hand of a master in control of a wide range of tools and a rich palette, that above all, create a direct emotional appeal to the heart of the viewer. The Faurschou Foundation is delighted to present the world premiere of Inverted Birth (2014), Viola’s most recent work. 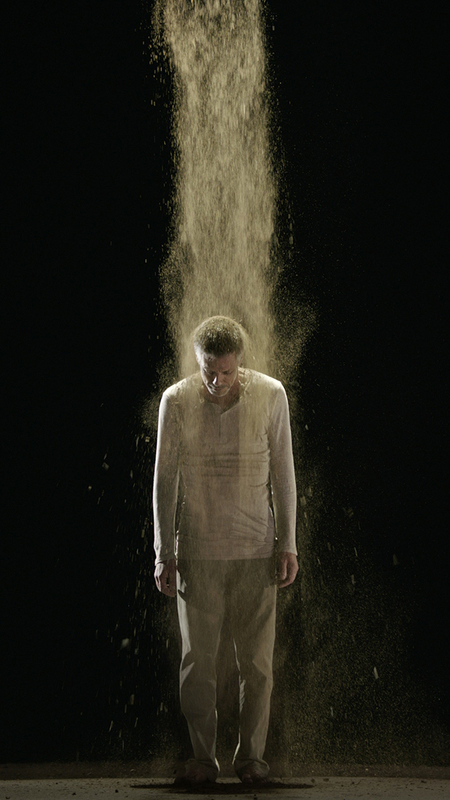 Towering to a height of 5 meters, this video and sound installation depicts five stages of awakening through a series of violent transformations.The fluids represent the essence of human life: earth, blood, milk, water, and air, and the life cycle from birth to death, here dramatically inverted into a transformation from darkness to light. In addition to Inverted Birth the exhibition presents four individual works derived from Viola’s large-scale permanent video installation Martyrs (Earth, Air, Fire, Water), 2014, at St Paul’s Cathedral in London. The four martyrs are tormented by the essential elements of earth, air, fire and water. The Raft (2004), a large video and sound installation, depicts the reactions of a varied group of people after suddenly being struck by a massive onslaught of water.